Viewers no longer need a Roku device or TV to watch the company's ad-supported Roku Channel. As of today, the free entertainment platform is available through any desktop or mobile browser at TheRokuChannel.com. Registered viewers will get on-demand ad-supported movies and shows from a variety of providers, as well as live news feeds. The online experience will be exactly the same as that offered on the current Roku Channel in the Roku OS. Roku debuted the channel in September 2017 and added live news feeds in April 2018. In the coming months Roku will offer a Roku Channel app on Samsung connected TVs, as well. Roku points out that the Roku Channel is currently the platform's fifth most popular streaming channel based on active account reach, and that the number of streaming hours it delivers doubled between December 2017 and June 2018, but declines to provide other performance metrics. The company is making a change to its Roku OS, as well, one designed to surface ad-supported content. Starting today in a phased rollout, Roku device and TV users will see a new option in the left-hand navigation called Featured Free. 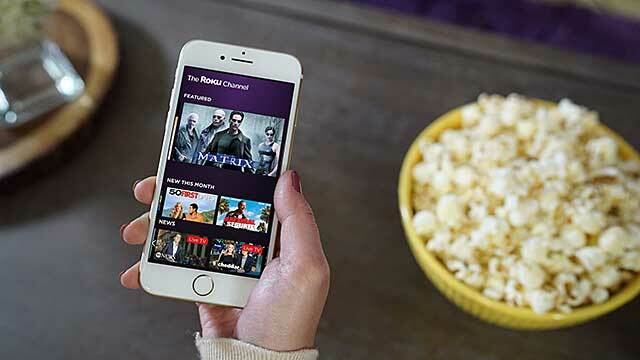 This will direct them to current-season TV shows and movies from The Roku Channel and network partners including ABC, The CW, CW Seed, Fox, Freeform, Pluto TV, Sony Crackle, Tubi and others. The user interface will highlight new and returning shows, helping viewers catch up on programs they've missed. In today's changes, Roku is making the most of advertiser demand for premium brand-safe inventory, especially in the living room where viewers are much more likely to sit through commercials. A Roku representative notes the company is the first OTT platform to offer Nielsen DAR (Digital Ad Ratings) guarantees. The ad-supported Roku Channel will gain live news feeds in May, as well private listening support for up to four devices per account.